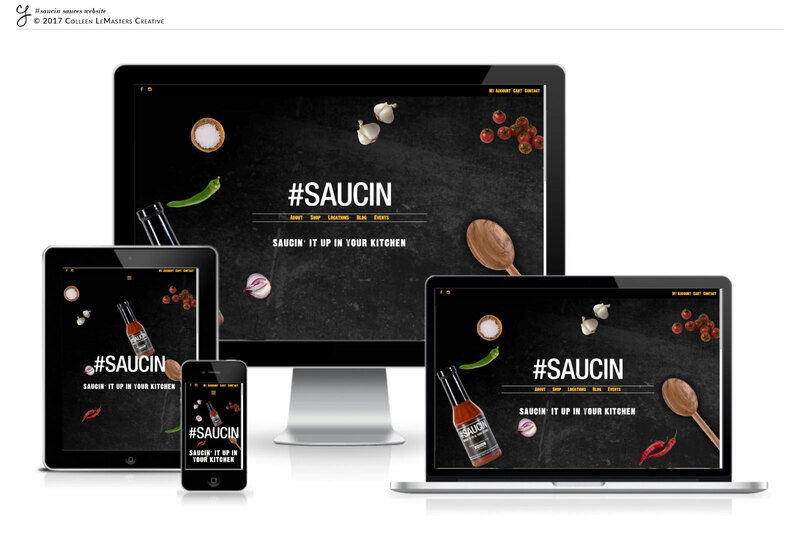 Earlier this year, I had the pleasure of working with the #SAUCIN Sauces family and helping them create a website for their barbecue sauce company. Since they had their packaging already nailed down, we knew we needed something to keep the brand cohesive and they really liked the idea of a chalkboard-style/vibe. They also needed an online marketplace, so we got their e-commerce shop up and running, allowing all of their fans across the country to get their hands on some #SAUCIN! (They have a huge Instagram following and everyone wanted to get some of their sauce!) We also incorporated a calendar to post all of the events where you can find them doing demos, as well as a blog featuring many of the recipes in rotation in their own household. The end result was a fun website, reflective of the product and the family behind it! I was also super happy with how the homepage came out, since one of the things that makes #SAUCIN unique is the ingredient list— they have somehow managed to get awesome flavor and a healthier option into one awesome BBQ sauce. I really love what I do and that’s even more true when I can help a family-owned business get online.